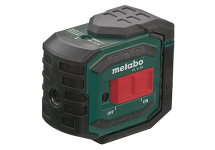 With the robust and precise laser measurement tools from Metabo, professionals can work reliably in interior development. Drywall constructors, carpenters or tile layers use the precise lines for orientation, set well visible plumbing points and measure distances down to the millimetre. 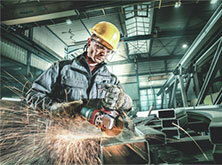 All laser tools can be operated without additional aids, and thus you save costs and working time. 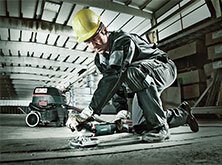 The MLL 3-20 multi-line laser unites the advantages of a point and cross-line laser. The high-quality tool projects a 360° horizontal line as well as two vertical lines at an angle of 90° in the room. Thanks to the integrated pendulum, the laser self-levels itself in a range from ± 4°. The supplied laser goggles improves the perception of the laser markings. The KLL 2-20 cross line laser projects a horizontal and vertical line into the room, as well as a plumbing point on the floor and ceiling. At the touch of a button the laser beams also represent the contours of a drywall. The PL 5-30 point laser projects five laser points into the room - towards the front, the sides, the ceiling as well as the floor. Multi-line, cross line and point lasers each have a base that can be extended to the height of a drywall profile and simplifies the marking of floor positions. A strong rare earth magnet, a tripod connection and metal eyelets for belts permit flexible use of the three tools. With its two laser beams, the BLL 2-15 floor line laser projects a 90° angle on the floor and is thus the right helper for floor laying jobs. The integrated spirit level permits perfect alignment even on uneven surfaces: the dual purpose base permits the use at a tile edge. With its practical design the BLL 2-15 fits perfectly in any corner and helps to check the relative accuracy of both floors and walls and their associated angles. 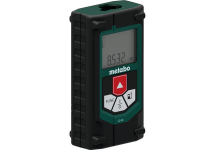 The two taser distance measurement tools LD 60 and LD 30 are useful companions thanks to their handy pocket format and the ISO-certified measurement quality. The LD 30 measures the length, the area and the volume and shows changes in distance by virtue of the continuous measurement function. As additional function, the LD 60 permits the calculation of small sections. 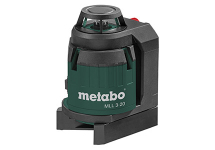 Metabo offers matching system accessories for its laser measurement tools, for example telescopic supports, geared column tripods and compound slides for the fine adjustment of the tool position.